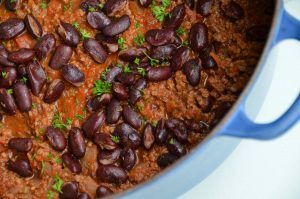 Everybody loves a good Chilli recipe and I assure you that this all-time classic is packed full of flavour and does not disappoint! 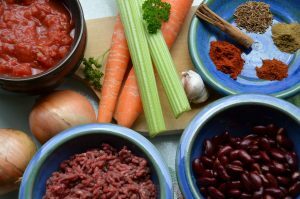 Due to its popularity and easy-to-follow guidelines, I often recommend this versatile Chilli Con Carne dish to many of my clients, especially to those who tend to be busy during the week with work and/or family commitments. For many people looking to lose body weight, meal preparation is an area that can often lead to one’s downfall, while aiming to achieve desired body composition goals. Dedicating some time to preparing ready-made, tasty meals can help build more structure into a daily routine. Not only will this help reduce weekly food expenses but it will also help to ensure you make better quality meal choices throughout the week. 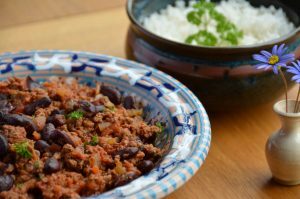 With that in mind, this Chilli Con Carne meal is a fantastic option to cook in bulk, and to be kept stored away in a freezer. If, and when, you don’t feel like cooking, you will always have a home-cooked ‘ready meal’ available, meaning you are less likely to make poorer food choices that may be undermining your nutrition-related goals. With minimal preparation time, this slow-cooked, hearty, and aromatic Chilli Con Carne is sure to be a household favourite. Peel and finely chop the onions, carrots, celery and garlic. Once the onions are soft, stir in the remaining vegetables (celery, carrots, and garlic) with the smoked paprika, cumin, chilli powder and the cinnamon stick and fry for a further 5-7 minutes. Add the minced steak/beef into the dish, breaking it up with a wooden spoon. Season well and fry until lightly coloured. Pour in the tinned tomatoes, season, and bring to the boil. Add in the balsamic vinegar, the Worcestershire sauce and half the mixed herbs. Reduce to a simmer, with the lid slightly ajar, and leave for up to 2 hours or until thickened, stirring occasionally. To help thicken the sauce, removing the lid for the last 15-20 minutes of cooking. During the final few minutes, just before serving, place a separate pan over a medium heat and, once hot, toast the cumin seeds for 1-2 minutes. Once the seeds have released their aromatic scent, rinse and drain the kidney beans, and add them to the pan. Fry until crisp and the beans start to pop. Season well and scatter over the chilli casserole. Remove the cinnamon stick and add the remaining herbs and plate up. Serve with fluffy basmati rice and parsley. This versatile dish can be accompanied with a variety of toppings and side-dishes such as a baked potato, sour cream, natural yoghurt and fresh chillies. My personal favourite topping is to add the cooling taste of a ripe avocado. 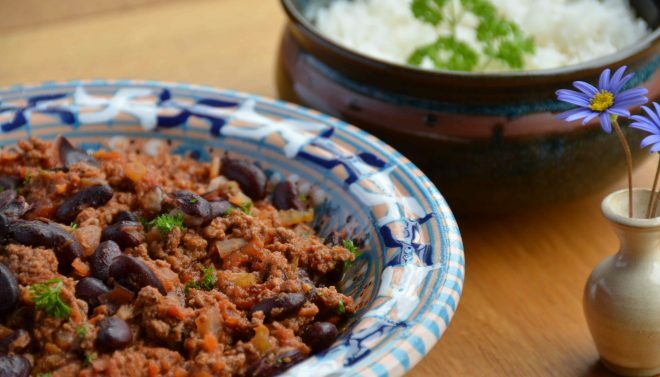 If you have enjoyed this Chilli Con Carne recipe, please feel free to share on Facebook or tag our Instagram page with your recipe-inspired picture.